In a small pan, bring a 1/2 cup of water and a half cup of sugar to a boil. Add the sage leaves and stir. Let simmer until the sugar completely dissolves, then remove from the heat and cool. In a cocktail shaker, add the gin, lemon juice, simple syrup, the egg white and shake very well. 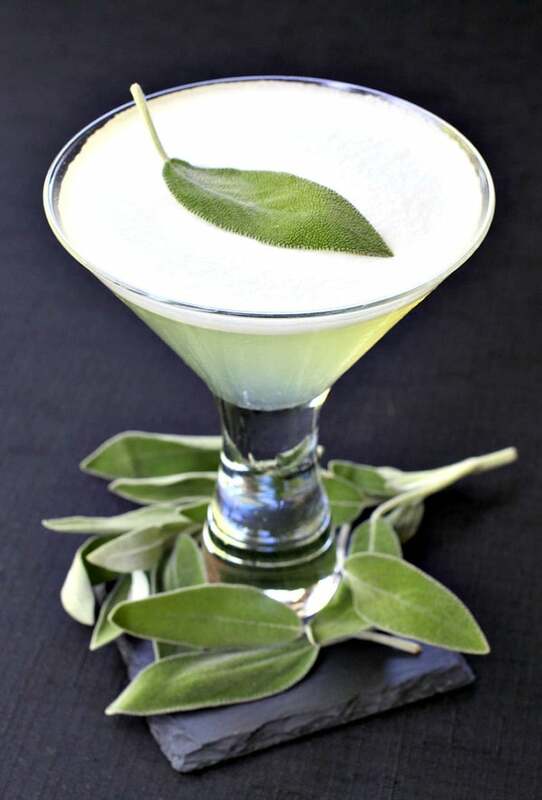 Strain into a martini glass and garnish with a sage leaf.